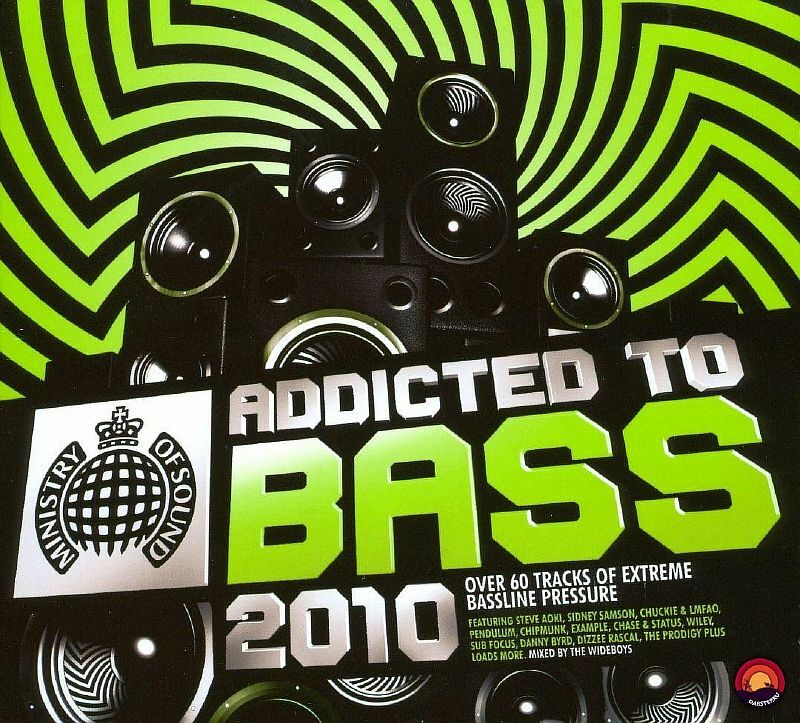 Addicted To Bass returns for 2010 with the biggest selection of bass fuelled bangers! The hugely successful series continues to provide an unbeatable blend of Electro, Drum & Bass, Dubstep, UK Funky and Bassline. Get ready for a serious assault on your speaker systems with over 60 tracks of bass heavy weapons including exclusive remixes and upfront material from Dizzee Rascal, Wiley, Sidney Samson, Example and Steve Aoki. Also featured are heavy hitters The Prodigy, Pendulum, Danny Byrd and Chase & Status, in addition to epic anthems from Double 99, MJ Cole and loads more.